Part of the Appenzeller Group are members of the CAPSL (Computing Advances by Probabilistic Spin Logic) Program. The website can be found here. 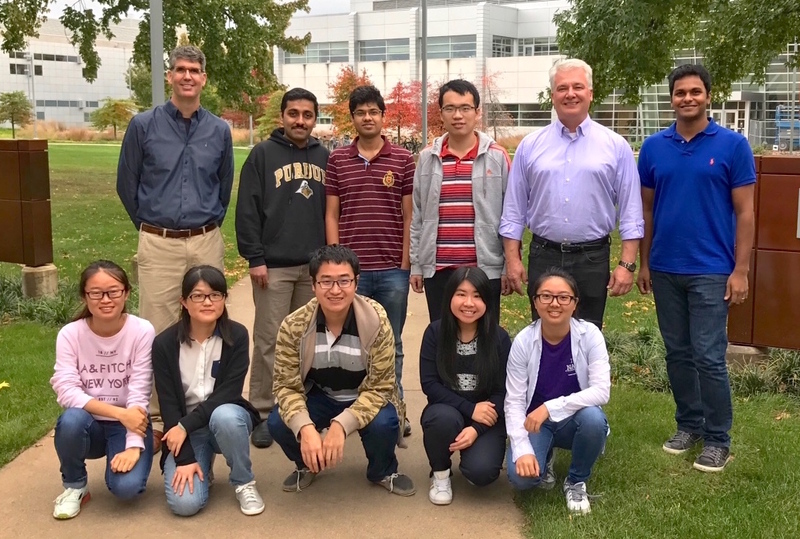 (Top: left to right) Neil R. Dilley, Abhijith Prakash, Vaibhav Ostwal, Peng Wu, Joerg Appenzeller, Ashish Verma Penumatcha (Bottom: left to right) Tingting Shen, Feng Zhang, Yuqi Zhu, Suki Zhang, Ruiping Zhou. Date taken: Oct 2016. 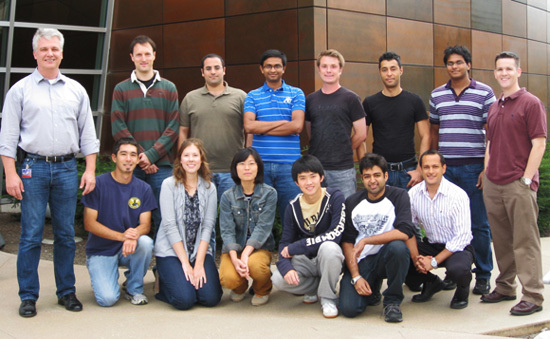 (Top: left to right) Joerg Appenzeller, Sebastian Feste, Jamil Shehadeh, Saptarshi Das, Drew Candebat, Ali Razavieh, Ashish Verma, Josh Smith; (Bottom: left to right) Yuri Kubo, Caitlin Wildeson, Hong-Yan Chen, Yunfei Gao, Sahil Bansal, Ramon Salazar. Date taken: Nov 2011.